Events - Miedema Auctioneering & Appraisals, Inc. 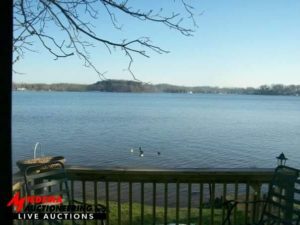 The Family of Gerald and Donna Kehoe have hired Miedema Auctioneering to conduct a live auction on Thursday, April 18, 2019 at 6:00 PM to sell the Real Estate. 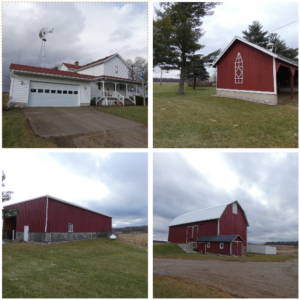 This property features a ranch style home with a 2 stall garage, outbuilding, pond, and 35 acres of land.  You will have the opportunity to purchase a buildable site, home and acreage. This property will be selling within 3-4 parcels or in its entirety. Visit our website for updated information within the coming weeks. This is an outstanding opportunity to purchase a piece of property in a very desirable area. In order to settle the estate of Billie Lee Russell, we will be selling this property at live public auction. The property consists of 148' of Green Lake frontage and and older home situated on 2 lots. Nice sandy bottom with a lot of extra frontage! This property has been owned by the Russell family for 65 years. It must to be sold to settle the estate. Gerald and Donna Kehoe Estate, 10384 Kehoe DR NE. The Family of Gerald and Donna Kehoe have hired Miedema Auctioneering to conduct a live auction on Thursday, April 11, 2019 at 5:00 PM. 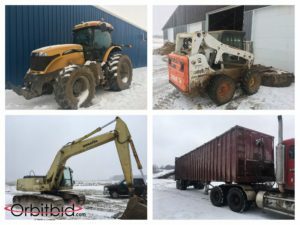 This personal property auction will consist of a Loader Backhoe, Tractors, Implements, Tools, Riding Lawn Mower, Shop Equipment, household items such as furniture, dishes, antiques, bedroom sets and more. We will have pictures and more details coming soon. This is a very clean estate that you don’t want to miss! *Please note we will be selling the Real Estate on April 18th, 2019 at 6:00 PM. 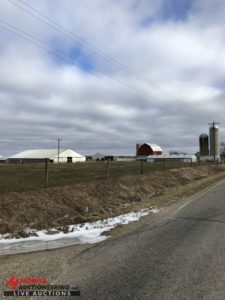 By order of secured party, to the continuing operations of Hartleben Farms, LLC select assets will be sold via online auction with Orbitbid.com. 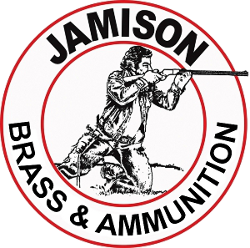 All equipment will sell to the highest bidder - NO MINIMUMS NO RESERVES! 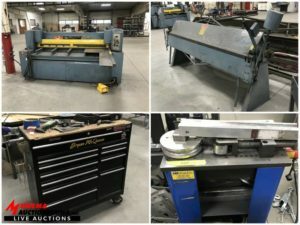 This Featured Online Auction will take place on Wednesday, April 10, 2019, starting at 8:00am, and will start closing at 6:00pm the same day (Central Time). Preview will be available the day before the auction from 9am - 4pm and auction day from 8am - 5pm. Auctioneers from Miedema Auctioneering, Inc. are present at many live auctions for charitable events each year. Click below to view all upcoming charity auction events. 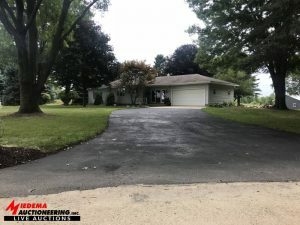 Porath Contractors, Inc, 960 Harrison Road, Houghton Lake, MI. 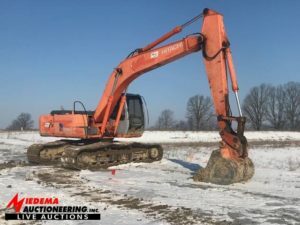 Porath Contractors Inc will be selling a large amount of excavating equipment, Trucks, trailers, shop tools, and related equipment at auction. In addition there will farm equipment from the farm that will be sold. All equipment is from Porath Contractors Inc gathered from many years as a contractor in Michigan. In order to help settle the Howard Baumann Estate, the family has hired Miedema Auctioneering, Inc. to sell the farm. 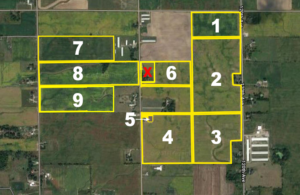 Approximately 270 acres in Olive Township, Ottawa County. The 270 acres will be offered in 9 individual parcels, in any combination of parcels or in its entirety. Prime land in a great location. Frontage 120th, 124th, 128th & Van Buren, just North of New Holland. Auction will be held at Pt. Sheldon Township Hall. Hudsonville Fairgrounds, 5235 40th Ave.
Spring Hudsonville Fairgrounds Auction. 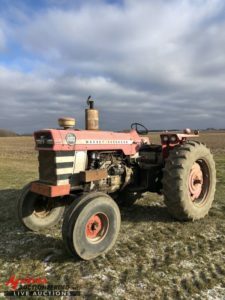 Featuring Farm Equipment – Tractors, 3 pt attachments, implements; Landscape Equipment - Riding Lawn Mowers, Snow Blowers, String Trimmers, Chain Saws; Miscellaneous Construction & Shop Tools, plus much more. Ring 3 – Featuring Lawn & Garden, Trees & Bushes, Landscape equipment, riding lawn mowers, snow blowers, string trimmers, Etc. Ring 4 – Featuring misc. items, tools, plus much more. 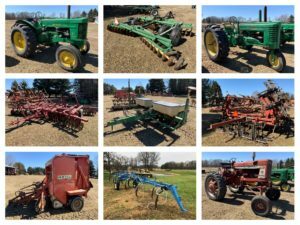 Schmaltz Farms has decided to discontinue farming and has hired Miedema Auctioneering to conduct a LIVE auction with internet bidding on Saturday March 16,2019 at 10:00am. 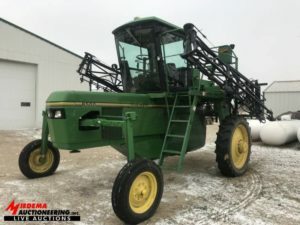 Highlights include John Deere 4650 tractor, John Deere 4030 tractor, John Deere 2240 tractor, John Deere 6500 Sprayer, John Deere 1760 8 row planter, John Deere 7700 combine, grain cart, tillage equipment, grain bin, grain dryer, and more. There are not many small items so be sure to be on time. This is a great opportunity to purchase some well maintained equipment. The farm equipment (ie: tractors, etc.) will be sold at separate auction on Wednesday, March 6. Pine Border Farms, 3367 16 Mile Rd. After 47 years of successful farming, Cal and Carl have decided to retire. Pine Border Farms has hired Miedema Auctioneering to conduct an auction with internet bidding at the farm. 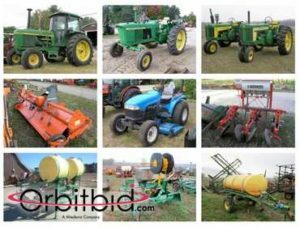 The auction will include well maintained farm equipment, seed corn equipment, and multiple one owner pieces. 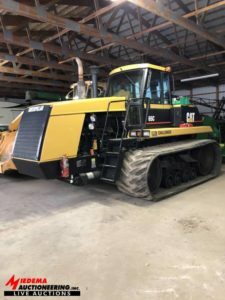 Highlights include: John Deere 9600 Combine, CAT 65C Tractor, CAT 55 Tractor, John Deere 7410 Tractor, John Deere 6605 Tractor, Detasslers, Sprayers, John Deere Male Planters, John Deere Planters, Tillage Equipment, Harvest Equipment, Trucks, Dump Trailers and more! Harley Boeve has Sold Port City Chassis to Gary Crocks and relocated it to Moorsville, North Carolina. 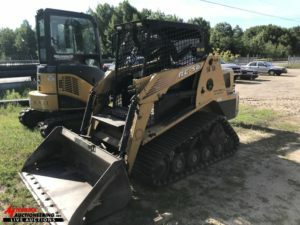 This auction is for the excess equipment that was not relocated to North Carolina. Miedema Auctioneering, Inc. has been hired to conduct a live auction with internet bidding on March 9, 2019 @ 10:00am. Harley has been building racecars in Muskegon for 45 years. His racecars have raced at race tracks all around the United States and Canada. This will be an outstanding opportunity to purchase some well maintained equipment. 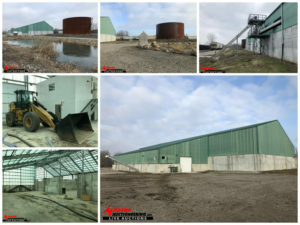 For sale via Secured Creditors desiring to sell Leasehold Estate on Leased land with Merchantable Title to all fixed assets, machinery and equipment. Property underwent significant site improvements in 2014, but the facility never came into production. Property Rights: A Leasehold Estate on leased land with Merchantable Title to all fixed assets, machinery and equipment. Real Estate: Assets are situated on a 10-acre tract of land located at Logansport, Indiana. The land is a long-term lease with the Winamac Southern Railway Company. The lease started on July 25,2013 with a minimum annual lease of $5,000. The lessee can earn back a rebate of $30 per inbound car of freight to a minimum of $1 per year rent. For any shortfall of less than 200 inbound cars ($6,000) The lessee is responsible for the difference. Initial term is 15 years with a 15-year extension. See Appraisals supplementary data section of the full lease details. Site: 10.0 acres, more or less, of leased land. Additional 7.0 acres on highway frontage including commercial office and warehouse consisting of two (2) fee simple parcels are negotiable in the purchase or lease arrangement. 5th Annual Auction! Featuring a large amount of trade in and lease equipment from all 6 of the Burnips Equipment locations. Consignments are welcome to add to this auction! 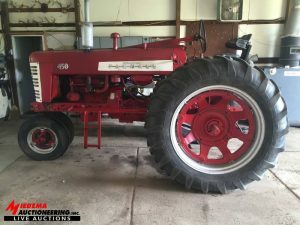 Farm Equipment Live Auction - Equipment to include Massey Ferguson models 2705, 275 &255 Tractors, White model 125D & 2-105 Tractors, Kuhn Knight 8124 Spreader, GEA SP-L-42 Manure Lagoon Pump, Roto Mix 414-14B Feed Mixer Wagon, plus other tillage & hay equipment. **Please note: the 300 cow free stall modern dairy facility & land will be selling at a separate auction on Thursday, March 14th at 2PM held at the AgroLiquid Conference Center in St. Johns. Westphalia Township Hall, 13950 W. Pratt Rd. Thursday, Feb 28 at 6PM – Real Estate Auction, Fowler/Westphalia. Located at 10565 W Price Road, Fowler, MI. Land and Home. This live auction will be held in order to help settle the Donald W. Theis estate. We will be selling appx 200 acres of land, a home with pole buildings, and a potential building site. Prime farm land and home all offered in parcels from 5 acres to 80 acres or in it’s entirety. No minimums No Reserves! A & B Machining INC., 355 North Griffin St. 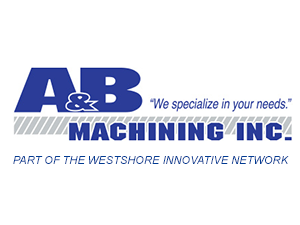 The Westshore Innovative Network (WIN) offers a variety of metalworking services including CNC machining of complex, tight tolerance components; metal cutting, fabrication and welding of sheet metal and plate steel; part certification through an ISO/IEC 17025 accredited metrology lab; as well as assembly and painting operations. This sale will feature tooling and support equipment from this facility.